"Relax, your taxes are up-to-date!" If you've ever been behind on filing your taxes, you understand how nice that sounds! The key to avoiding headaches with the IRS and State tax authorities is having your taxes done accurately and on-time. Once we have you up-to-date with any outstanding returns, we offer annual tax filing to keep you in full compliance ... and out of future trouble! Yes, we're current with the new Tax law. Every year the tax code is updated, but this year was a big one! Does your tax preparer understand how the new law works and how to minimize your tax liability? 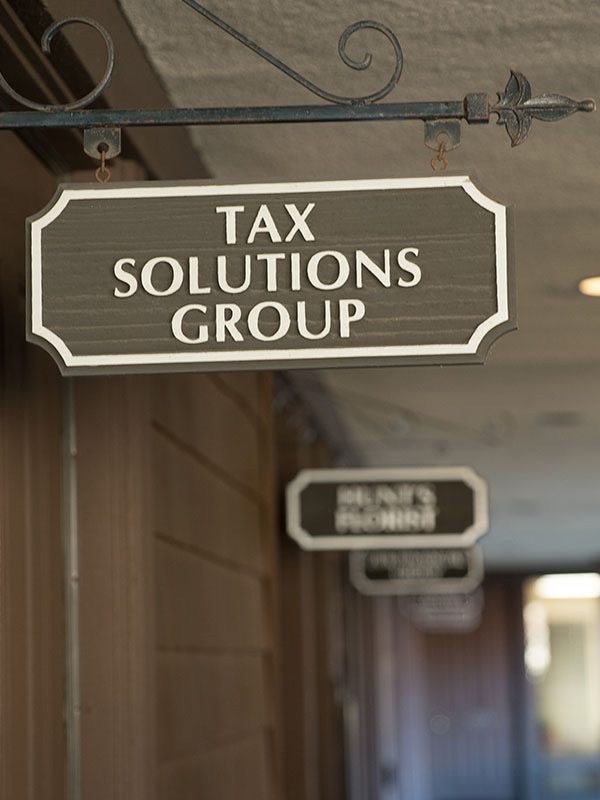 Our new clients are amazed when we request tax preparation information early in the year. They'll tell us, "My old tax guy never was so fast and efficient!" Sadly, many say they've never heard from their tax guy at all — they were the ones that had to initiate this. Not here! We're proactive, and our clients really appreciate it! What about filing past years/missing returns? If you have previous years to file, it's time to get 'er done. We're able to file returns for as far back as 1990! And if you're waiting until you find that box of receipts from 1996... DON'T! Bring us what you have and we'll work with you. We have guidelines we follow to bring you up-to-date. Are you self-employed? We can incorporate self-employed clients to minimize future tax liability. Especially now with Corporate tax reduction, this saves $ in the future so clients do not get back into trouble. This also provides legal protection not found as a Sole-Proprietor.